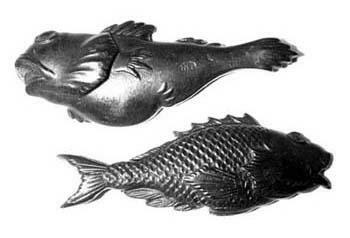 The best reproduction menuki available. 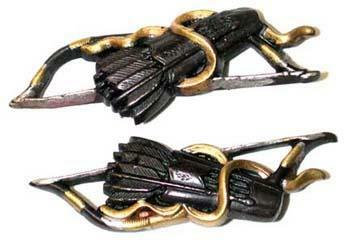 If you don't see what you need, contact us and we'll make it for you. 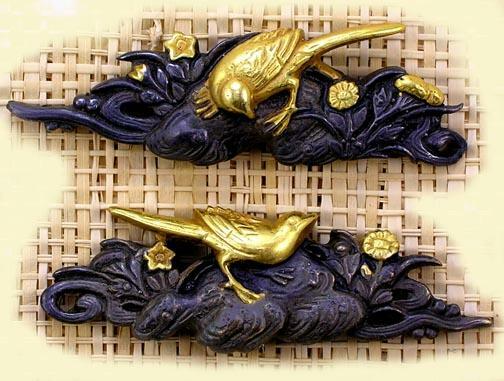 Menuki numbered up to 198 are handcast and hand-finished direct reproductions of antique menuki from various collections around the world, and made to a standard normally associated with jewellery. 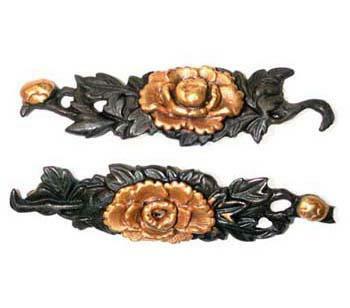 Depending on the original design and the intentions of the original artist, the silver base is left bright, patinated to look like antique silver, completely blackened, plated with gold plate, or a combination of all these techniques plus, in some designs, plating with copper which is then patinated. 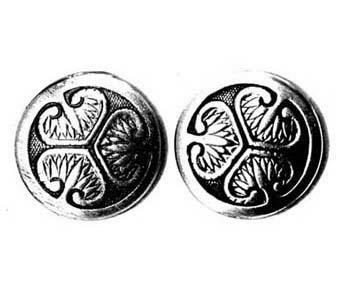 Menuki numbered up to 198 will, like any jewellery made of precious metal, qualify for hallmarking. 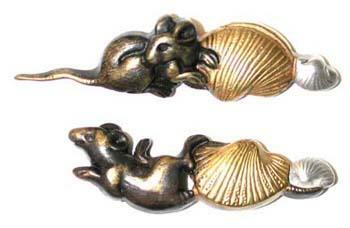 We have our own hallmark and can, for a small extra charge, hallmark these menuki if requested. 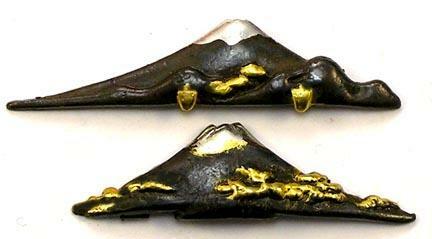 Menuki numbered 199-255 are also gold plate on silver, but they do not exhibit the range of techniques used to make the previous menuki. 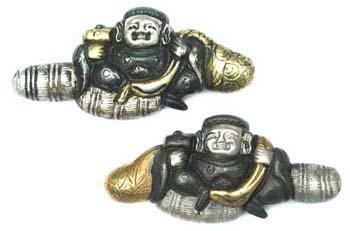 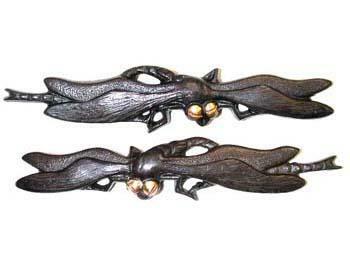 We haven't had the silver used in these menuki assayed yet, but they would probably hallmark. 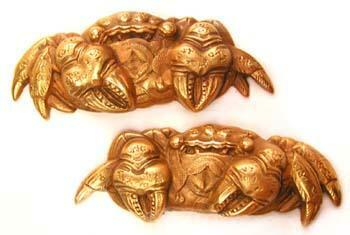 Items 255 upwards are gold plate on alloy, and are therefore cheaper.